Published: Nov. 7, 2018 at 07:10 p.m. Updated: Nov. 7, 2018 at 07:34 p.m. The Miami Dolphins and coach Adam Gase have been fined for their handling of Ryan Tannehill's injury. 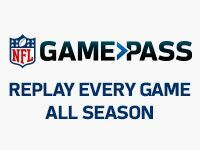 The NFL confirmed to NFL Network Insider Ian Rapoport that the Dolphins have been fined $30,000 and Gase was fined $15,000 for violating the NFL Injury Report Policy in advance of the club's October 14 game against the Bears. "We have been fully cooperative and transparent with the NFL throughout this process," the team said in a statement. "We received the penalties imposed and will have no further comment." The team was fined for listing Tannehill as a full participant on the practice report for Thursday, October 11 when he should have been listed as limited, sources told Rapoport. The original inquiry was about Tannehill's "questionable" game status for Sunday vs. the Bears, Rapoport reported. They were cleared for that instance and this was only about Thursday's practice during which he took fewer reps than normal, Rapoport added. Tannehill has been dealing with a shoulder injury that sidelined him Week 6. Gase told reporters that the QB won't play this week against the Green Bay Packers, but the team is optimistic that he will be back after the bye week when they take on the Colts. "I'm all in on Indy," Tannehill said.